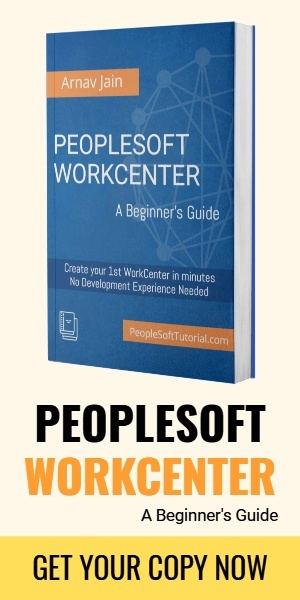 Every PeopleTools release comes with new features to help customers utilize PeopleSoft application to its fullest. 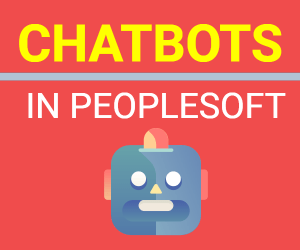 It’s not just the end users who get benefited from latest features, but there are tools that improve productivity of PeopleSoft developers also. Latest version of PeopleTools – 8.57 is also packed with hundreds of features that are designed to assist user and developer community. In a recent post, we pointed out all the neww features that are part of PeopleTools 8.57 and there were few specific to Application Designer. Application Designer is (as I would sometimes say) “bread-and-butter” of a PeopleSoft developer and any changes to this tool can make life of a developer easy. One such new feature in PeopleTools 8.57 is – Title bar of PeopleSoft Application Designer now shows the database name, active project and active definition. In above example, you can notice that I’ve opened project PPLTOOLS and AE program AEDAEMONMGR. In the title bar of Application Designer, it’s displaying the database name (EP92U030), project name (PPLTOOLS) and then the AE program name (AEDAEMONMGR). This can be really helpful when you’re working on several things at time and have multiple application designer windows open. Use the property window to view and update page field properties. You can use the property window in lieu of or in addition to using the page field properties dialog box. Similar to a properties dialog box, you can update values directly in the property window. There is a way to show database name in Application bottom bar. Read how to show database name in application designer.